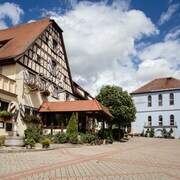 Located in Middle Franconia, this hotel is 11 mi (17.7 km) from Fraenkisches Freilandmuseum and 17.4 mi (28 km) from Weikersheim Castle. 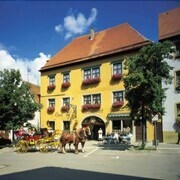 A charming hotel in the centre of the historic village of Rothenburg. Staff very friendly and helpful with the hotel in a central location close to restaurant and shops. Where to find Steinsfeld hotels near an airport? 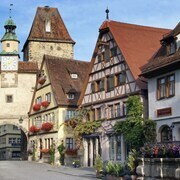 Where can I find hotels in Steinsfeld that are near tourist attractions? Steinsfeld has a terrific range of quality hotel and apartment possibilities to select from. Expedia's comprehensive database features 26 hotels and apartments within a 0.1-kilometre (0.06-mile) distance of Steinsfeld's downtown. 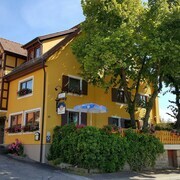 The Hotel Schwarzes Ross, is an ideal choice for visitors as it the most centrally situated lodging choice in Steinsfeld. 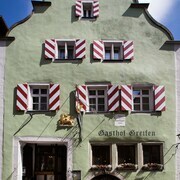 One of the small number of economical hotel choices in Steinsfeld is the Hotel-Gasthof zum Schwan - Guest House. 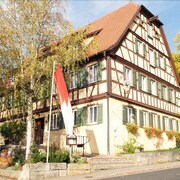 The Burg-Hotel Relais du Silence can be found 6 kilometres (4 miles) from the central part of Steinsfeld. 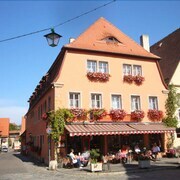 Or, alternatively, the Historik Hotel Gotisches Haus is situated 6 kilometres (4 miles) away. You could also choose to make a reservation at the Romantik Hotel Markusturm or the Hotel BurgGartenpalais. 70 kilometres (44 miles) away from Steinsfeld is Bamberg, home to the Bamberg Cathedral and Old Palace. If you'd like to spend a few nights in Bamberg, check Expedia's booking pages for the latest deals at the Welcome Hotel Residenzschloss Bamberg and Tandem. 70 kilometres (44 miles) to the northeast of Steinsfeld, you can also stay at Old Town, which is home to the Hotel National and Der Krug. The Historical Museum Bamberg and Diocesan Museum are just a couple of the more popular points of interest to check out for those visiting Old Town. Why not spend a few hours rubbing shoulders and cheering along with Franconia sports obsessives at a local sporting fixture. You'll find Frankenstadion 65 kilometres (41 miles) to the east of Steinsfeld. Stay nearby to the action at the Le Méridien Grand Hotel Nürnberg or the Congress Hotel Mercure Nürnberg an der Messe. Situated 65 kilometres (39 miles) away from Steinsfeld is Nuremberg Airport. Stay nearby at Hotel Deutscher Kaiser or Hotel am Josephsplatz. 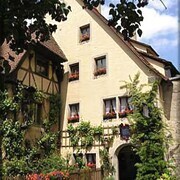 What are the most popular Steinsfeld hotels? Are there hotels in other cities near Steinsfeld? What other types of accommodations are available in Steinsfeld? Explore Steinsfeld with Expedia.ca’s Travel Guides to find the best flights, cars, holiday packages and more!